Lutify.me | How do I apply 3D LUTs in Affinity Photo? How do I apply 3D LUTs in Affinity Photo? 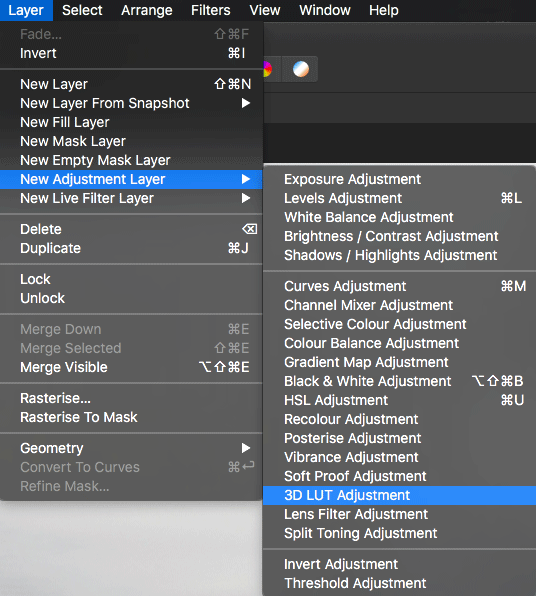 Affinity Photo offers out-of-the-box support for 3D LUTs using the ‘3D LUT Adjustment’ layer. 3. In the 3D LUT window that opens click on Load LUT and choose the LUT you’d like to load. 4. You have successfully loaded a 3D LUT in Affinity Photo.